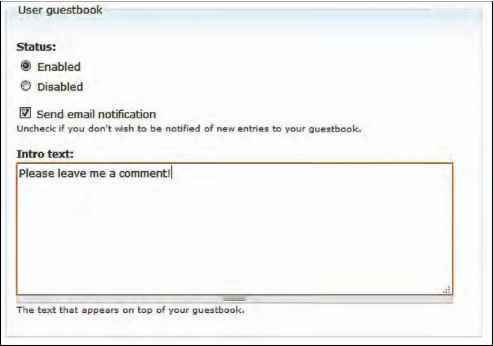 In the main navigation menu, the Guestbooks link in the menu let's see quickly which user guestbooks have recently been commented on, how many entries they have, and when was the last time the site-wide guestbook had a new entry posted. Clicking one of the usernames in the list takes us directly to that user's guestbook page. This is what we set earlier as the location we will be taken to when we click on a username in the guestbook list, as opposed to taking us to the users main profile page. 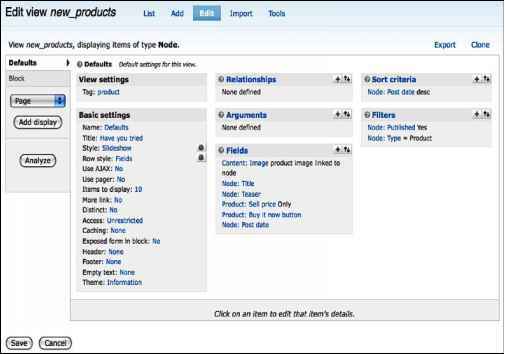 When a user goes to edit their account or their profile, they also have the ability to enable or disable their guestbook, set their own introduction text to the guestbook, and set if they wish to be notified of new entries via email. Now, we have a social network where users can comment on one another's profiles, and these comments can be seen by the rest of the site.